An entry of AMD’s Polaris 10 GPU with included hardware specifications has just been spotted on the SiSoft Sandra benchmarking database. Polaris 10 is one of two Polaris GPUs, the other being Polaris 11. Unintuitively named. Polaris 10 is actually the larger chip of the two. 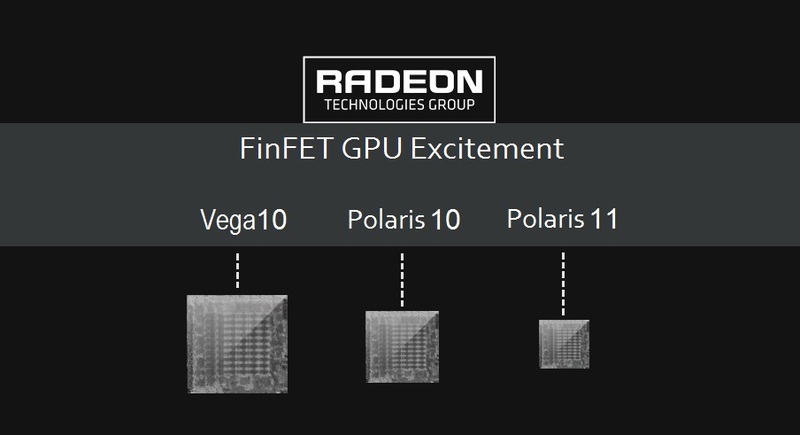 Chief Architect & head of AMD’s Radeon Technologies Group confirmed that the naming scheme is time-based & Polaris 10 had simply been designed before Polaris 11, hence the smaller numerical designation. Polaris 10 is AMD’s mid-range 14nm FinFET graphics chip, Polaris 11 is the smallest of the family and Vega 10 is the HBM2 powered high-end GPU launching in 2017 to succeed to the Fury lineup. Which will feature AMD’s next generation Vega architecture and will be the company’s first GPU to feature second generation High Bandwidth Memory. The SiSoft entry points to an 8GB GDDR5/X, 256bit GPU with 2304 4th generation GCN cores. Interestingly this is the exact same memory capacity & bus configuration we’ve seen on Nvidia’s upcoming GP104 Pascal based GTX 1080 & GTX 1070 graphics cards. This particular Polaris 10 chip carries the 0x67DF device ID, which according to AMD’s recently released driver source code indicates that we’re likely at the cut down variant of Polaris 10. So this is likely the Polaris 10 configuration that we’re going to end up seeing as the R9 490 or R9 480. The full Polaris 10 deviceID being 0x67C0 and likely sporting 2816 GCN cores like Hawaii XT. The driver source code also confirmed that Polaris 10 is indeed Ellesemere and Polaris 11 is Baffin. Both of which are Arctic Islands GPU code names that we had covered extensively. There’s no entry for the full Polaris 10 chip in the database just yet so we don’t know how many GCN cores it will feature. However, seeing as how the R9 390 & 390X perform remarkably close to each other AMD will have likely decided to create a wider space between the full Polaris 10 chip , Ellesmere XT, and the cut down Polaris 10 chip, Ellesmere Pro. But it’s anybody’s guess right now. The SiSoft entry also includes the clock speed of the card, which at 800Mhz is surprisingly low. So we’re likely looking at an early engineering sample here. Especially considering the fact that 14nm FinFET clocks much higher than 28nm. So I’d expect frequencies upwards of ~1150Mhz on the production chips. With that in mind, the GPU actually did well in the benchmark and came ahead of the GTX Titan Black. Which features a full GK110 chip and coincidentally is faster than a 2816 GCN core Hawaii XT GPU. Also funnily enough this is very close to the performance we’ve seen from the leaked GTX 1080 and GTX 1070 benchmarks. Despite the low clock speed & the lower number of GCN cores this particular configuration of Polaris 10 still performed ahead of where you’d expect an R9 290X to perform. This in turn indicates that 4th generation GCN cores perform measurably better per clock than their predecessors. Also worthy of note is that this Polaris 10 engineering sample features 6Gbps GDDR5 memory chips rather than GDDR5X which combined with a 256bit bus delivers 192GB/s of bandwidth. Exactly half the memory bandwidth of the R9 390 and 390X, which indicates that production Polaris 10 cards could feature 12Gbps GDDR5X memory instead to deliver the same amount of bandwidth.